Buried Secrets. Imagine a situation where you are dealing with a great case of criminal minds and the only witness that can help you is actually no more alive. And than the trouble begins. Instead of having a person that can help you get through some answer, you find your self beginning from the start, fighting with some signs that might get you to the answer. For today game we are offering you some adventure and a mystery. Very important robbery has happened in the biggest museum in the country. No one before remembers such situation. Roger, Alan and Grace are three detectives who are engaged on one of the biggest robbery in the world. We are dealing with the stolen artifacts from the national museum. Тhe unique protected witness in this case has passed away few days ago. Together with him, there left berried all the secret information connected to the robbery. Now, detectives are situated in the home of the protected witness and are looking for proves for this case. They try to follow each step that is needed for the answer to be found and the thieves to be caught. You come on board here! 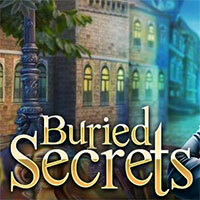 Make sure to check out The Land of Secrets Game. You may enjoy playing it.